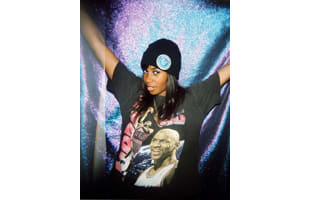 Santigold is a songwriter, producer, and singer. Her debut album Santogold was released to rave reviews in 2008. Her new album Master of My Make-Believe is announced for spring 2012. See our favorite Santigold posts below. Santigold Shares Her New Song, "Banshee"
Watch Santigold's New Video for "Chasing Shadows"